JZ Electric and Homelink Entertainment provides wiring to both residential and commercial customers. Our experience gives us the ability to wire nearly all things in a residential home or in a commercial property. Homelink's approach is that simple is better. Electronics can be overwhelming and confusing so we have hand picked equipment/products to give the customer a maximum experience with minimal effort. Let us handle all of your homes technology! Are you looking to enhance your home entertainment? You have come to the right place. With one call you can have an expert at your home helping you design an audio and video system that is perfect for your home and family. If you are looking for home theater installation in the Minneapolis St. Paul MN area then you have come to the right place. 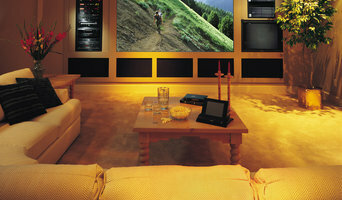 We specialize in elegant home entertainment systems that fit your budget. 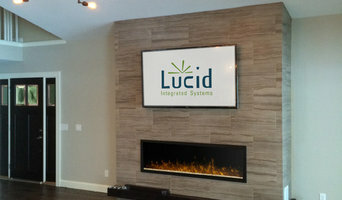 Whether you want to add a great sounding surround sound system to your existing TV, or you are remodelling and need help in the design and installation of a great new entertainment system that is custome to your new space, we can help you out. We have many predesigned home theater system packages which are very affordable, but we love custom designing entertainment systems. We look forward to answering your personal questions and offer a free in home consultation.